Rich, ripe, spicy, harmonious nose. 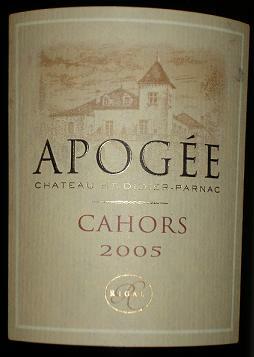 Lovely ripe fruit, chalky tannins, good concentration and balance. Drink 2009-12. 2005: 2004, 9月推薦酒- De Loach 2000 Zinfandel O.F.S.